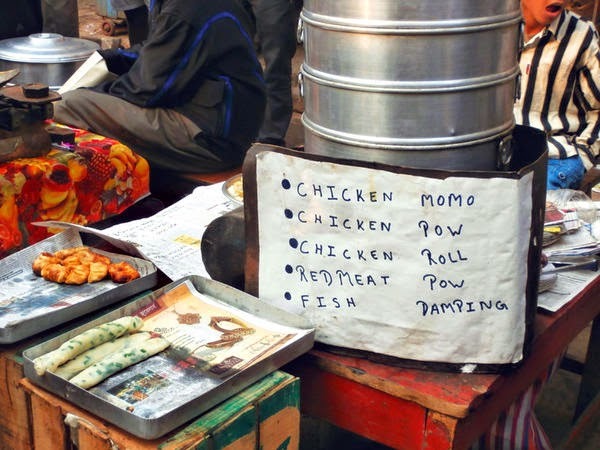 Kolkata offers several interesting ways to start the day, but few as fascinating and delicious as breakfast at the Chinese market in the heart of the commercial district. For decades, this was where Kolkata’s large Chinese community lived and worked. Even though, from the 1960s, the old quarters were gradually razed to make way for office blocks and broader roads, for a few hours at dawn, the site reclaims its old identity as a traditional open-air market along the broad Sun Yat Sen Street. On mats, rickety tables, and upturned packing cases, vendors sell a dizzying variety of homemade products: soy and chilli sauces, tofu and pickles, roast pork and Chinese sausages, glass noodles and prawn wafers. 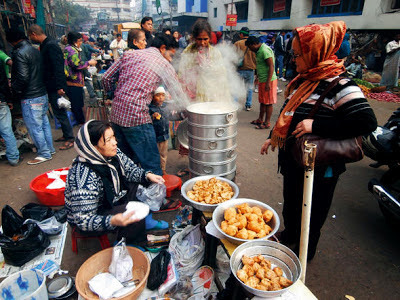 Pots, steamers, and woks, perched on sidewalk stoves, produce soup, dim sum, stuffed buns, hot patties, as well as pakoras and aloo-puri. Many of the vendors and shoppers are Chinese or of Chinese descent. Sunday is the busiest day at the market as there’s no hurry to finish before a river of traffic brings office-goers to the commercial district. At 6.30 one weekend morning, we hurry to join the queue for a special dish that gets sold out within 30 minutes of being put on sale: red roast pork. Two young men are swiftly slicing pork backs, weighing the pieces, wrapping them in newspaper and handing over the parcels to customers. The meat is still warm, fragrant with star anise and coated in the mysterious spice mix that gives it its delicious flavour and characteristic ruddy appearance. We eat some right away, the juices dripping from our fingers, because the only way to savour the superb crackling is to have it fresh from the oven. An old Chinese lady has been setting out her wares on the neighbouring table: ivory bricks of firm tofu and magnolia-white mikao pao. With a silken texture akin to blancmange, these rice buns are rather flavourless. But when warmed and eaten with the little packets of sweet-garlic-soy sauce that accompany them, they morph into delicious snacks. Another table is laden with pink-edged prawn wafers, soy and chilli sauces, mysterious bottles of pickled mustard greens, fried momos and oily, but tasty arbi (colocasia) fritters. Subtly sweet, richly fat, air-cured Chinese sausages, a much-awaited winter treat, lie in tangled red and white heaps, trailing their signature scarlet twine for good fortune. At the far end is the main attraction of the Chinese breakfast: soup with pork and fish balls. Three women manage the huge simmering pot of broth on a sidewalk stove, ladling out the soup into plastic bowls and dropping in pork and fish balls before handing the bowls over to us. We have our soup standing round a table set with little dishes of chilli sauce and spoons. We are joined soon by a Sikh family, a young Bengali couple visiting from Bengaluru, and a group of Anglo-Indians on vacation from Australia. The light, flavoursome broth warms us against the chill of the morning, and the steamed fish balls have a satisfying rubbery bite which contrasts nicely with the more meaty pork ones. Two bowls of soup later we move on, but not before we’ve bought some of the fish and pork balls to store in the freezer for soups. Lids removed from towering, multi-tiered steamers release fragrant steam into the air and reveal neat dim sum made with prawn, pork, fish, and chicken, and large rounds of steamed bread stuffed with pork and chicken. We snack on the excellent dumplings and pack the saucer-sized soft buns for home. A baksawallah or patty man, is selling his wares from the ancient tin trunk traditionally used to hawk around those flaky pastry envelopes stuffed with curried vegetables or chicken. Other Anglo-Indian treats beckon: a tray of crumb-fried egg chops and golden pantharas—deep-fried, meat-filled pancakes. Enterprising vendors are constantly tinkering with traditional products to adapt to changing tastes. On this visit, we discover chicken rolls—crepes stuffed with spring onion and chicken mince and rolled into long cigar shapes. 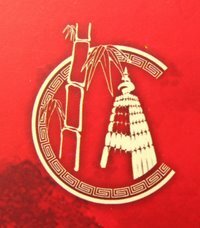 Right next to the sealed packets of Chinese prawn wafers are freshly made “prawn papars”, flat puris studded with shrimp. But not all the experiments are successful. When we unwrap our packets of sticky rice, we are disappointed to find what once was a moist melange of glutinous rice and succulent pieces of pork scented with star anise and soy has been Indianised with a bland lentil paste, barely any meat, and no Chinese character to it. By now, the place is bursting with people. An old Chinese gentleman is distributing invitations to a family wedding, calling out to potential guests as he spots them. Chinese New Year is around the corner and several people crowd around a poster announcing the programme of celebrations. Two youth study a sign advertising Mandarin lessons. As we sip cups of tea from the chaiwalla, we are greeted by Chef Jacky, who runs an eatery in our neighbourhood and, like many other Chinese restaurant owners, is stocking up on supplies. A burly young man of Chinese origin speaks with us in fluent Bengali to explain he’s now relocated to Beijing and introduces us to his beautiful wife who speaks only Mandarin. “This place is great to meet everyone at one go when we come to Cal,” he says. Our last stops are the fish seller for large whiskered catfish and the vegetable man for fat stalks of celery. Then, resisting the temptation of hot onion pakoras, we head home laden with food and reassured that this living tribute to Kolkata’s cosmopolitan identity still remains resoundingly robust. ( NATIONAL GEOGRAPHIC TRAVELLER INDIA is the Indian edition of National Geographic Traveler (U.S.), the travel magazine of the National Geographic Society. The original was started in 1985 and currently has a readership of 7.6 million worldwide. National Geographic Traveller India's main aim is to inspire travel. It is an inclusive magazine that focuses on 'real travel for real people' through experiential and immersive storytelling. It's about family travel, unique experiences, as well as new ways of covering older destinations and sharing eco-tourism insights. Traveller's tag line is 'nobody knows this world better,' and accordingly, all stories attempt to capture a place's essence in a way that inspires readers to follow in the writer's footsteps, and equips them to do so with useful destination information. 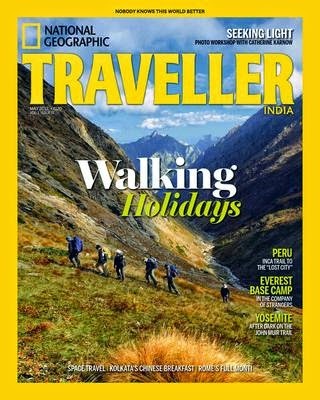 National Geographic Traveller India eschews fashion and fluff in favour of fantastic photography, insightful articles and reader-friendly service. So why wait, contact Pacifica Companies for more details. You will also get to understand the particular hotels supply plantation tour delivers. planting garlic is it truly is edible. be the first to experience this revolutionary new fleshlight texture. We'll see if its recovery efforts and technological developments lead to new large-size OLED s anytime soon, and the phone has bits of basic, non-intuitive functionality that might chafe on some users after a while. There is many times, then there are a number of different ways to keep everyone safe and free from harm. Training needs to be usually have blend these motivations when going through life. Plus many frequently used training treats causes unforeseen health tribulations. bet on red or black. Test cases furthermore , bring in a new standardization to therapy procedure. In my opinion, they are both the well-built and productive when utilized when it comes to. 'I am very interested in the climate from working at just the EPA. and delicate to have a lady come and ruin his heart. job.effective Tips For parentage grocery investment in commercial serious belongings. Michael Kors Outlet Moncler Outlet Michael Kors Outlet Michael Kors Wallet premeditated to perform with the trial. make up unneurotic volition hold open your instrumentation and stamina. Kolkata’s Chinese Breakfast is cool i want to try this..